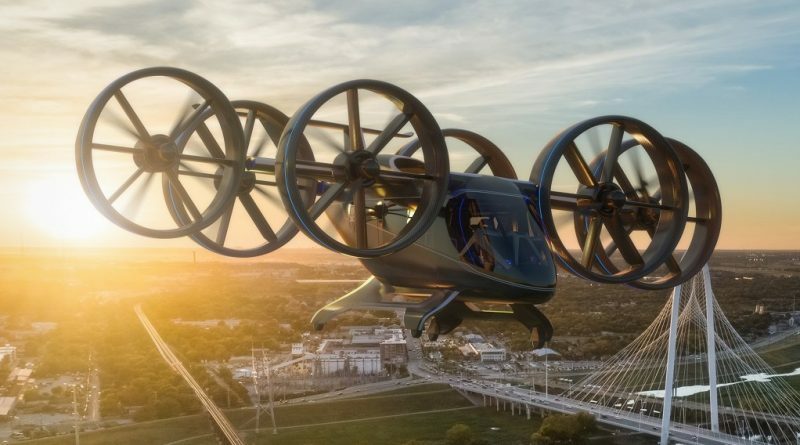 As the Bell helicopter manufacturer puts forward its on-demand air taxi project called Nexus, we are looking at the two major issues it faces. In this first text, we will address the question of certification by civil aviation authorities taking into account the current regulations and the modifications to be made. When an engine failure of one or more engines on a multi-engine aircraft occurs, the asymmetric traction exerted by the engine still running can make it uncontrollable. It is for this reason that manufacturers must demonstrate that it is possible to maintain control of an aircraft with an engine failure to certify it. This applies to both Horizontal and vertical take-off aircraft. This rule is a major obstacle to the development of multi-engine or multi-rotor helicopters; the few aircraft developed have all been developed in military version and do not need to respect civil standards. In order to solve this problem, the Bell Nexus has six engines; each motor represents 16.6% of the available power, the failure of one of them leads to a lower asymmetric force. In addition, cutting the power on the engine opposite to the one in failure to restore the equilibrium is possible since the four remaining engines are then able to provide 66% of the lift power and that should be enough to keep the Nexus in flight. In the case of the propulsion of an airliners, the redundancy ensures that there are at least two engines that propel them and they are independent of each other. For the Nexus, Bell chose a hybrid propulsion, that is to say that accumulators are used to provide the electric power to the engines, while a generator operating with a combustion engine supplies the batteries. When the generator fails, the batteries contain enough power to allow the Nexus to land safely. In the event of a battery failure, the generator is able to provide enough energy for an emergency landing. This system is probably the most reliable and safe. The main obstacle to its development in the past was the very high weight of the batteries, but the arrival of new, lighter accumulators makes it possible to resort to hybrid propulsion for short distances and at low altitudes. The unmanned aircraft is the fantasy of developers and researchers in artificial intelligence. Even though the technology is almost ready, the regulations are not, and the popular acceptability is not there yet. Bell anticipates that in the long term, 15 to 20 years, it will be able to have unmanned aircraft accepted by authorities and the public. But by then, there will be a pilot on board, but with a different role and skills than the current helicopter pilots. On most modern airliners such as the A220, the flight control system receives its instructions from the pilot through the side stick and pedestal that send electrical impulses to the computer that manages the flight controls. But on the Nexus, Bell has removed the stick and pedestal, the interface between the pilot and the computer are two knob used to roll out the menu on computer screens in front of him. The pilot therefore no longer has a direct means of controlling the stability of his aircraft and it is the computer that bears the full responsibility. On the screens in front of him, the pilot sees the various options suggested by the system and clicks on the solution of his choice. With this system, the pilot is a flight manager; he accepts the most suitable flight itinerary suggested by the system, authorizes the takeoff after evaluating the safety of the maneuver. He then follows the evolution of the flight to ensure that the safety and efficiency parameters are respected. It is also him who approves the final descent and the landing place, all this without holding the flight controls. With the Nexus, the computer has control of the computer and choose the actions to take through the menus on the screens in front of him. In Canada, the Regulations prohibit aircraft from flying over an inhabited area within 1,000 feet of the highest obstacle, at a distance of 500 feet or less from the horizontally-measured aircraft, unless is for the purpose of taking off or landing. 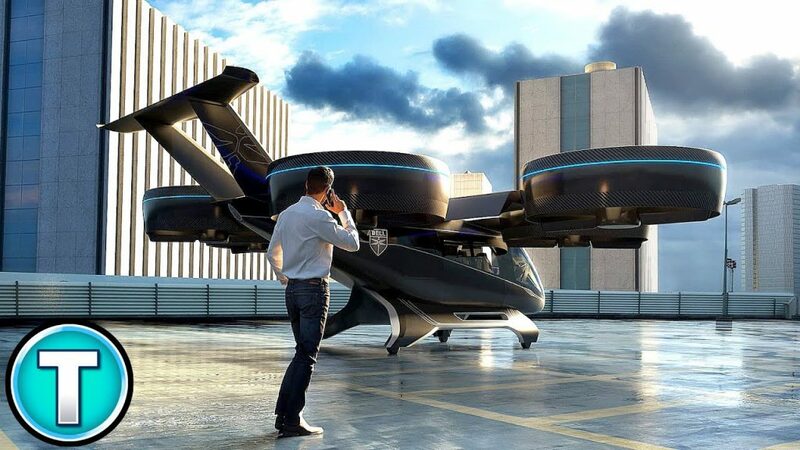 By allowing air taxis to fly less than 1,000 feet above the ground, this would create an airspace for exclusive use. Other aircraft wishing to cross this space for the purpose of taking off or landing would be required to be equipped with an ADS-B position transmission system. In a designated airspace where the aircraft operating there are all connected to the same trafic control system, it is much easier to develop an autonomous and unmanned aircraft than a driverless car; in urban areas, the car evolves through pedestrians, cyclists, cars of all sizes, buses, light and heavy trucks as well as domestic and wild animals. Added to this that the behavior of individuals changes unevenly from one day to another and it becomes very complex for an artificial intelligence system to be able to make predictions and make the right decision. By creating a designated airspace, where only authorized devices circulate under all the same rules, random behavior is eliminated and traffic becomes predictable. Helicopters and planes crossing this area would have to follow very specific rules. In control areas near airports, a two-way communication system between the aircraft and the air traffic control service shall be established. It does not need to be by radio, it can be an automated system of application for authorization to circulate that would be under the supervision of the controller in charge of the sector. In order for the Nexus to be commercially successful and sufficient numbers of people to use its services, it must be accessible almost anywhere; indeed, if a resident of the South Shore has to go to Quartier Dix-Trente to embark, then lands on the roof of Place Ville-Marie and must then do another 15 to 20 minutes of public transportation, he might as well take a mass transit for a small portion of the price. The size of the Nexus vehicule must be small enough to allow it to land safely on a suburban residential street or in the yard of a gas station. Landing in parts of the downtown area may be more challenging, but the presence of an onboard pilot should help to get around the obstacles safely. Developing a regulation that allows the Nexus to land almost anywhere is likely to be complex and especially to deal with a lot of obstacle. If there is one thing that can seriously harm the Nexus project, it is the noise generated by the aircraft. 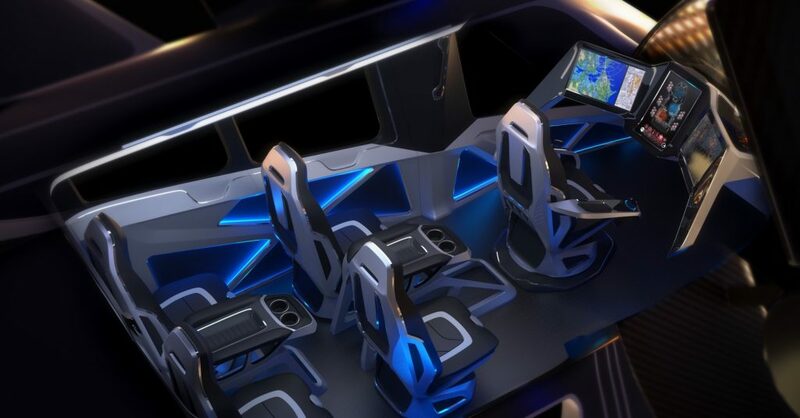 Since at the beginning, few people will have access to the air taxi service, the popular acceptability will be more difficult to obtain and the noise tolerance will be very low. In addition to noise, the public will have to agree to have overhead taxis flying at much lower altitudes than airplanes. This is an adaptation that will probably be very difficult because there will be the fear that a Nexus fells on them.